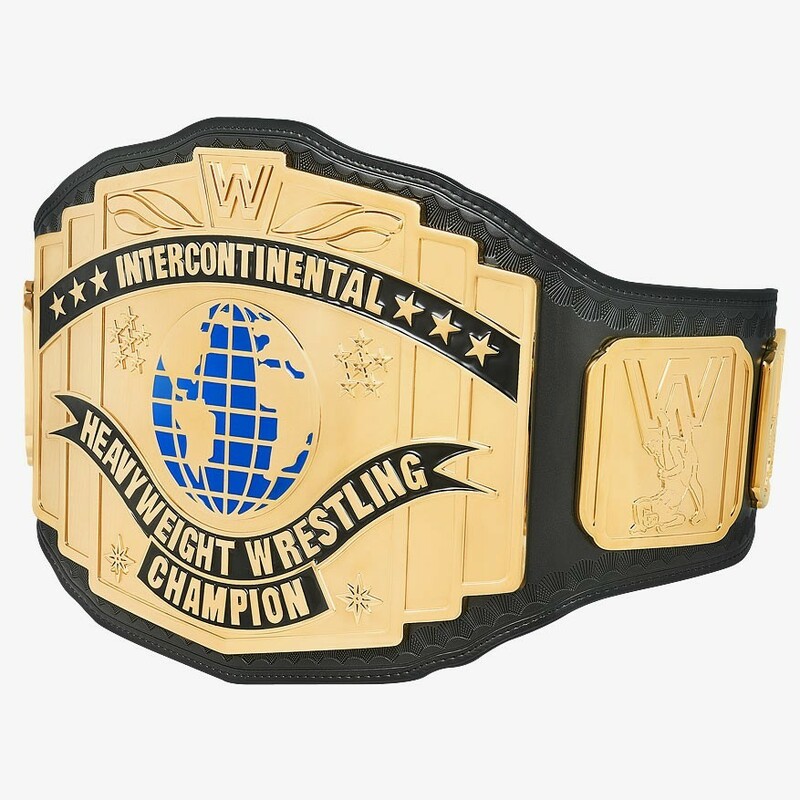 This version is taken from a mold of the original Replica Belt handmade by Reggie Parks and will contain the original block letter WWF logos. It is the same thickness and length as the original belt. It measures 4 feet 2 inches in length and weighs over 5 pounds. The center medallions measures 8.5 inches tall. It has 2 medallions on each side. The strap is made out of our New and Improved simulated leather. It is fastened by 8 snaps on each side. Fits up to a 46 inch waist. Belt comes in a cloth logo bag. 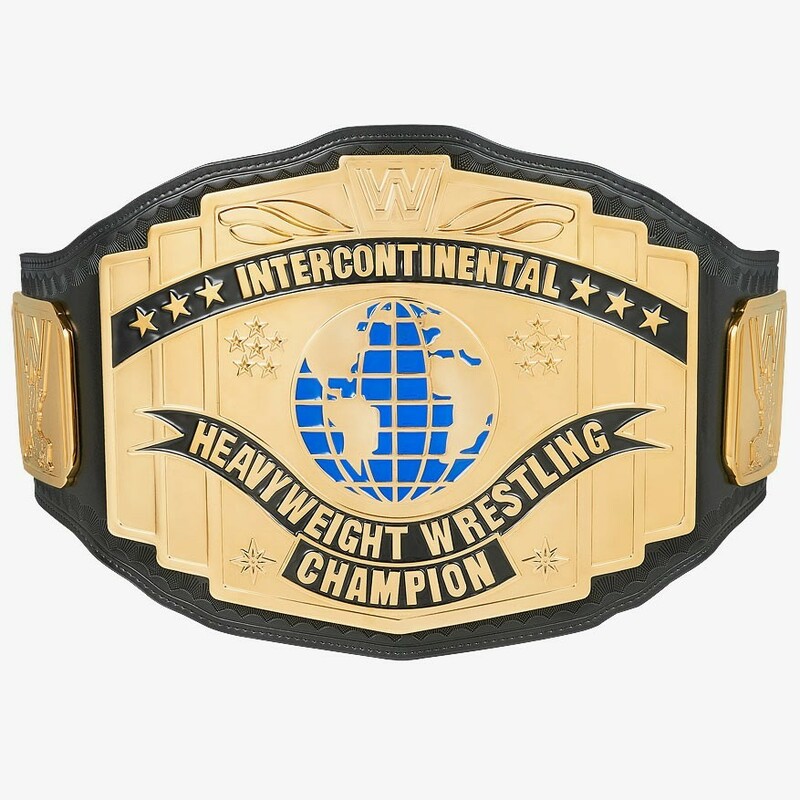 Held by superstars such as Macho Man Randy Savage, Ultimate Warrior, Rick Rude, Mr. Perfect, Stone Cold Steve Austin, The Rock, Triple H, Ric Flair and more. 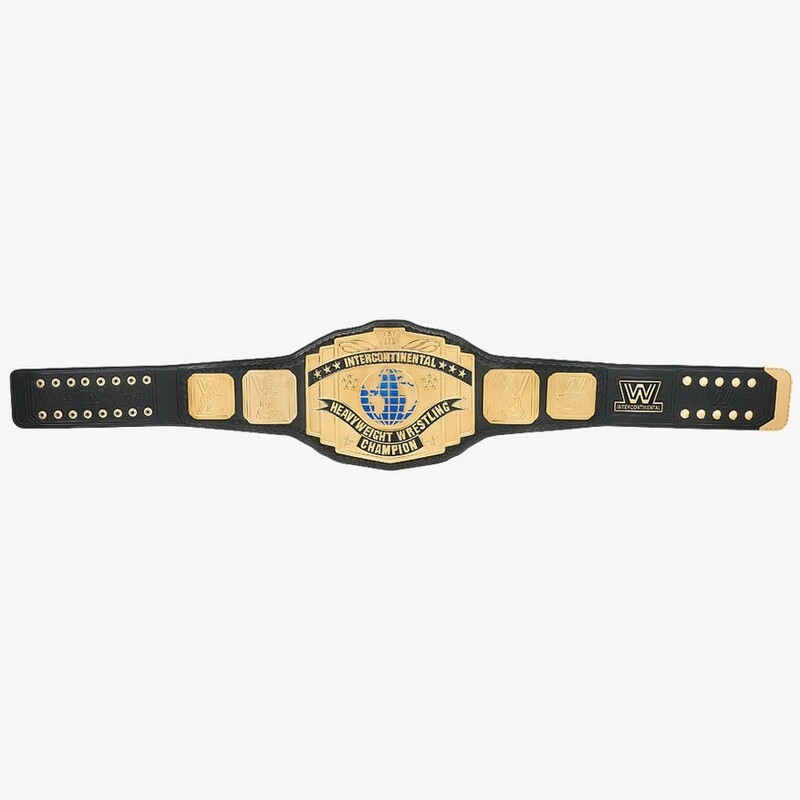 Once Randy Savage won the strap from Tito Santana, he used brasso polish on the belt which removed all the gold plating and ruined the belt. This was switched in 1988 with a new version of the same design. 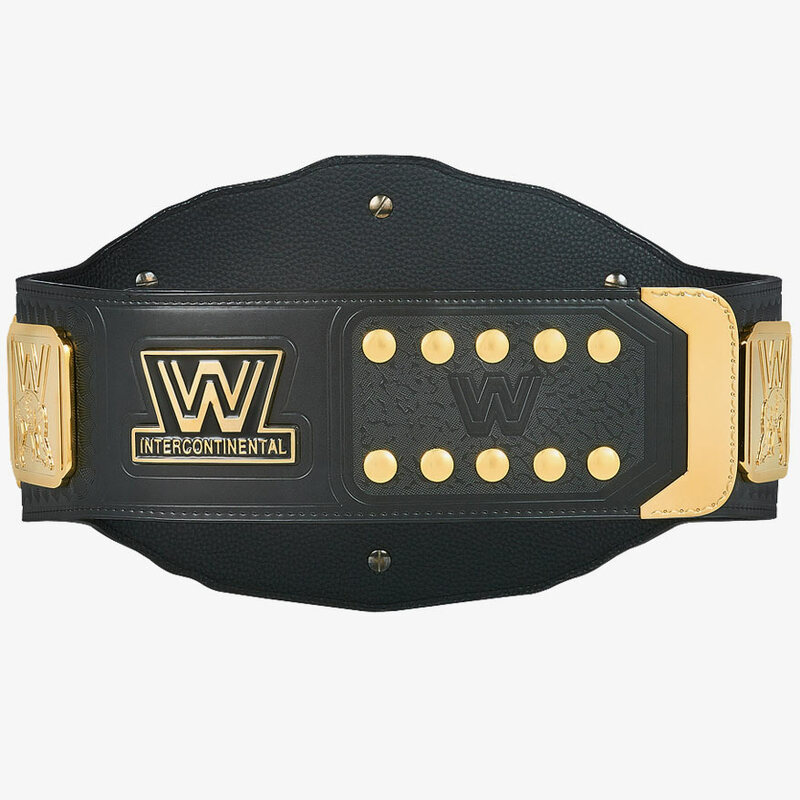 This belt was used during the Hulkamania golden age of the World Wrestling Federation and this was when it enjoyed its most success, classed as the ‘workers title’, many great matches were fought over this championship. 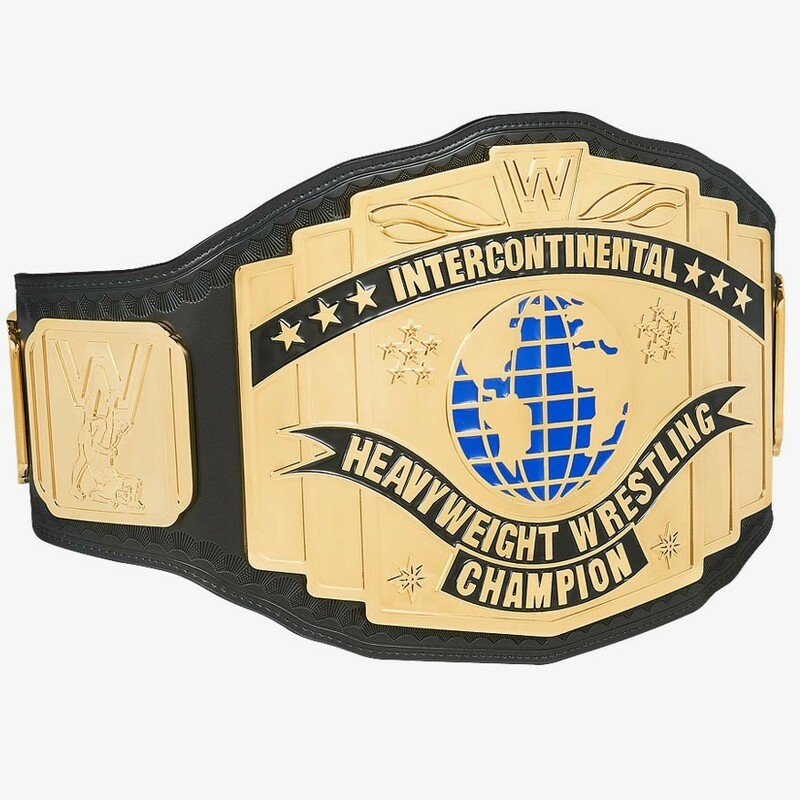 Holding the Intercontinental title at that time really meant something. Throughout its run, the Reggie IC was presented on TV on various colour straps. The Ultimate Warrior was the first superstar to have it on a different colour when he debuted it in yellow during late 1989, this lasted until WrestleMania VI in April 1990 when he unified the WWF World and Intercontinental titles and was subsequently stripped of the Intercontinental title, which soon reverted to black. Other coloured versions included white and blue.